Happy Valentine's Day, dolls! I hope everyone had a great day! Mine was a lazy day of watching Seinfeld with my boys. I wouldn't have had it any other way. This week was stressful and I needed a chance to unwind. Today's manicure features two polishes from the new OPI Euro Centrale collection. 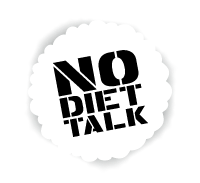 I Saw...U Saw...We Saw...Warsaw is a dark blue creme, but not so dark that it looks black. The formula was a dream; two coats was perfect. As with most cremes, I couldn't leave well enough alone. I had to add to it. Isn't this a great combo? 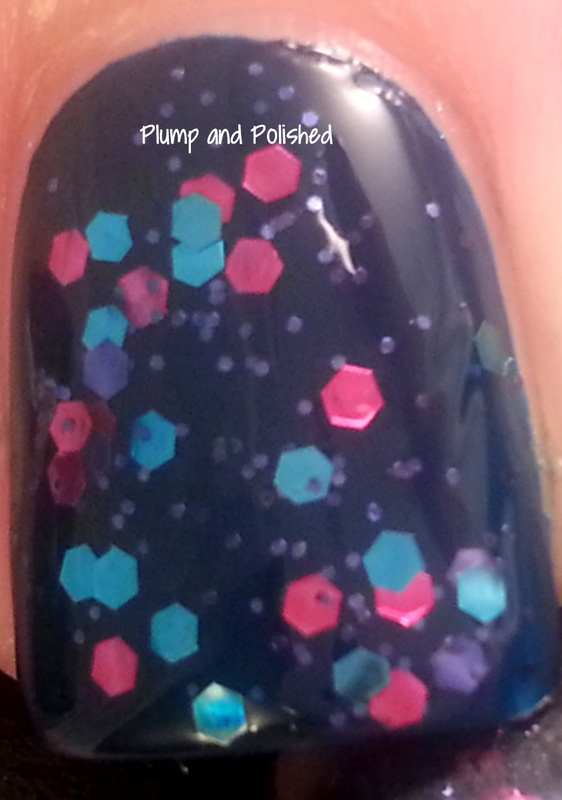 Polka.com is a blue, purple, and fuchsia medium hex trio with tiny purple glitters in a clear base. The formula was a little thick, but applied well. I got great glitter payoff with just one coat. It dried quickly and became completely smooth with one coat of Seche Vite. What more could I ask for? The Euro Centrale collection is the first collection I've ever purchased as a whole. Be on the look out for the rest of the collection soon! I'm thinking I might just swatch them all at once. Do you have your eye on any from this collection? Cute combo! I got Polka.com today. 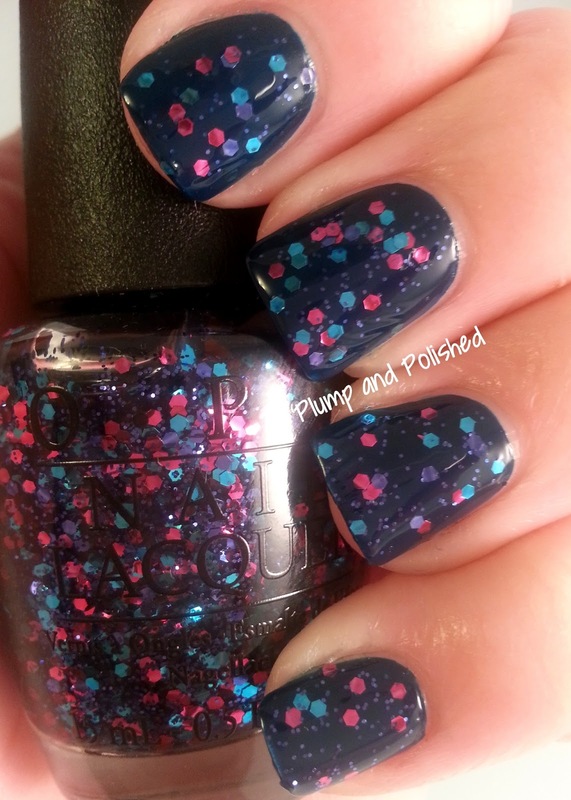 There are a few I want, including this pretty glitter. 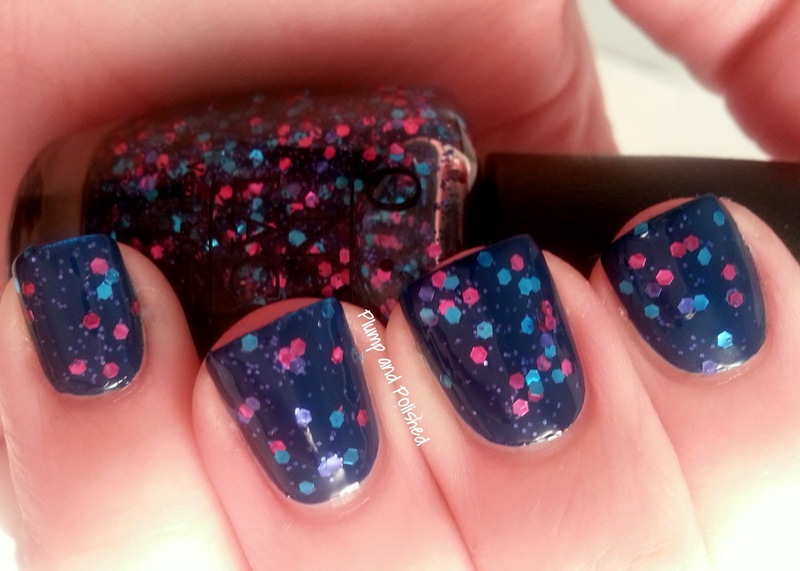 Great mani!